Instead of putting your child in a craft class, why not bring the class to your child? And our direction to fashion out fascinating picture cards from it; give expression to her feelings and show off her creative skills to family and friends, while learning to be creative at her own pace in the comfort of her home. What’s best- with this mixed medium kit, you don’t have to buy her any props. 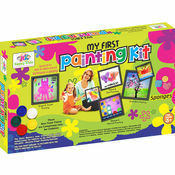 Our kit packs in all the craft material – different theme cards, ribbons, buttons, google, eyes. ice cream sticks, sequins, paint, lace material etc. 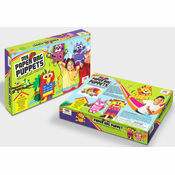 – in brilliant hues and ameazing textures to keep your child engaged from the start to the finish. In simple world it is type of craft where on uses different types of material to decorate pictures. It’s a popular craft in west and the output is awesome. The pictures can be used as a room decor or can be gifted to friends. Paints, 2 Sided tape, glue etc. & Detailed instruction sheet. Description Instead of putting your child in a craft class, why not bring the class to your child? 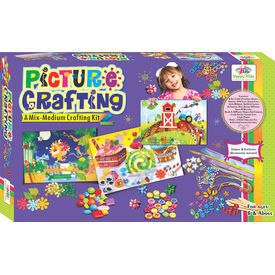 Buy her the picture crafting kit and she can use all her imagination And our direction to fashion out fascinating picture cards from it; give expression to her feelings and show off her creative skills to family and friends, while learning to be creative at her own pace in the comfort of her home. What’s best- with this mixed medium kit, you don’t have to buy her any props. 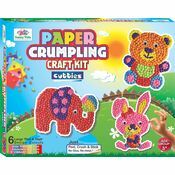 Our kit packs in all the craft material – different theme cards, ribbons, buttons, google, eyes. ice cream sticks, sequins, paint, lace material etc. – in brilliant hues and ameazing textures to keep your child engaged from the start to the finish. 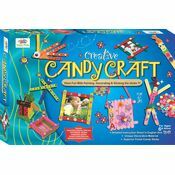 About picture crafting In simple world it is type of craft where on uses different types of material to decorate pictures. It’s a popular craft in west and the output is awesome. The pictures can be used as a room decor or can be gifted to friends. And above all it would give a great boost to your creativity. So what are you waiting for, Get….Set….Go Contents 6 Art Card of various themes, Sequins, Tikki Lace, Sequin Lace, Satin Ribbons, Artificial leaves & Flowers, Rose Décor, Different types of buttons, Bead in different shapes and colours, candy sticks, Google eyes, crepe paper, Paints, 2 Sided tape, glue etc. & Detailed instruction sheet.